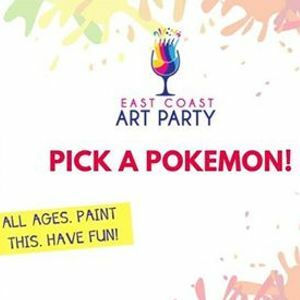 Which Pokemon will you paint?! ALL AGES EVENT – All ticket holders under the age of 16 have to be accompanied by an adult ticket holder. You cannot assist and share a painting.